What is the Myprotein Food KlickBox? The Myprotein Food KlickBox is an ideal storage container for carrying your snacks on the go. The Myprotein Food KlickBox has a number of different compartments in order to separate your different foods. 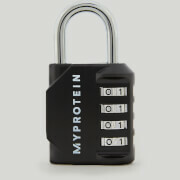 Who is the Myprotein Food KlickBox Suitable for? 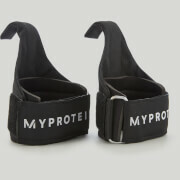 The Myprotein Food KlickBox is ideal for anyone looking for a convenient lunch box to hold their food when on the go. Simply position the dividers as required, add your food and snacks and click the lid in place. I'd give this 5 stars, but the inserts don't go all the way to the bottom, so liquids are free to move around entire box. For solid foods though, this is amazing. Lots of different compartment options so you're not confined to one type of lunch box. I fit snacks and lunch in there for work and don't have to worry about taking up too much fridge space. Add sauces on after and store non-solid food in a separate container and you're golden. Bigger than expected. Was expecting more so of a small snack size but I guess that's what I get for ordering the large one. Overall, still impressed, just cumbersome. This product is a very good concept, however I didn't know how big it actually was (seeing as the dimensions are not posted about the product). It's a really huge box, and I don't know when I will get use out of it, but I still like it very much. P.S. The dimensions are roughly 8in x 9in x 3 in. Couldn't ask for a more affordable yet simple and effective product. Great size and works really easy to keep veggies, even things like hummus organized with all your other daily food you bring with you on the go! Its awesome that I can mix up my portion sizes! I love it and I take it to work with me! I reccomend it to anyone!